Mr Nice Seedbank: Shantibaba explains what happened when a Welshman, two Australian cannabis breeders, and the best selection of old and new world cannabis varieties shared a small room. 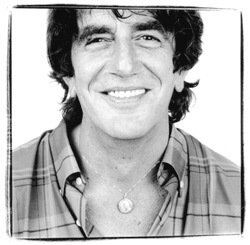 Howard Marks (Mr Nice) and I (Shantibaba) met during the late 1990's while I was living and working in Holland. A few years previously (1995), I had set up the Greenhouse Seed Company. Coincidentally, at the same time, Howard was released from a lengthy imprisonment in the USA. During the next few years, we became very good friends and with the success of my breeding work and help from Neville Schoenmaker (the father of Dutch Seed banks), Howard and I discussed the possibility of working together. We decided to start a seed company to help growers throughout the world. Neville and I were already working together on various seed projects, growing and supplying certain strains to coffee shops as well as changing the uses and perceptions of cannabis. In 1998, when Neville co-owned the Greenhouse coffeeshop in the Red Light Area, and I co-owned and worked the Greenhouse Seed co (since establishing it in 1994)...we decided to really try that year to do our best at the HTCC. Until then, Neville and I, operating as individuals, had won almost every prize awarded for cannabis breeding. On behalf of Greenhouse, we blitzed the 1998 HTCC, winning every prize other than that awarded for clothing. We came first and second in the overall HTCC. I did not particularly like the event so decided to retire from it that year. Coincidentally my relationship with my Dutch partner deteriorated, and egos went crazy. As a result, I sold my interest in the Greenhouse Seed Company and, as a sole trader, set up Mr Nice Seedbank (MNS), which has always been and remains a Dutch company. Shortly afterwards, Neville also forego his interest in Greenhouse. MNS never entrusted plants to non-growers, including our ex-Dutch partners. Inevitably, confusion results when different companies use the same names for different sub-species, so MNS renamed them all. Seed companies' most valuable assets are the original mother and father plants, which take many years to collect and select. Every seed company uses strains from particular parts of the world, but they differ greatly. 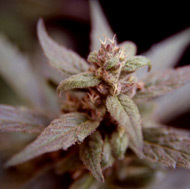 MNS uses a collection of both Neville and Shantibaba's plants, the most pedigreed cannabis plants ever bred. We established MNS, with its forty parent plants, to make strains and seeds available to all levels of growers in order to help them help us spread the genetic diversity of this miraculous plant.